ANOTHER sign of the prolonged recession and changing trends in entertainments has made its mark in Co Down as a well-known household brand has gone into receivership. The Downpatrick Xtra-vision outlet is one of the several across County Down that are affected by the company going into receivership. Home entertainments company Xtra-vision has stores across South Down in Downpatrick, Newcastle, Ballynahinch and Kilkeel. Luke Charleton and Colin Farquharson, of Ernst and Young, were appointed as joint receivers of the company. This recent recent news that Xtra-vision stores are in trouble will be very disconcerting for the staff currently employed in Xtra-vision stores across South Down. “I very much hope that the receivers will work with the directors to ensure that Xtra-vision continues to trade as normal, with a view to selling the business as a going concern,” said Councillor Patrick Clarke. 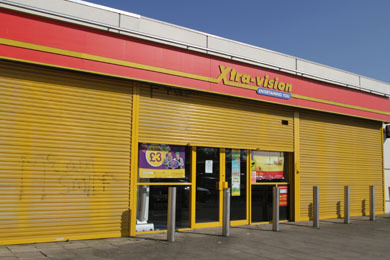 “I have been advised by the receivers that the majority of Xtra-vision stores are profitable and will be attractive to potential buyers once advertised seeking expressions of interest from third parties with a view to securing the early and successful disposal of Xtra-vision.